Home › What's New › Is a Savannah right for me? Is a Savannah right for me? Savannahs are generally a high energy cat. Not your Mom’s couch potato, they enjoy interaction, play and are very intelligent. 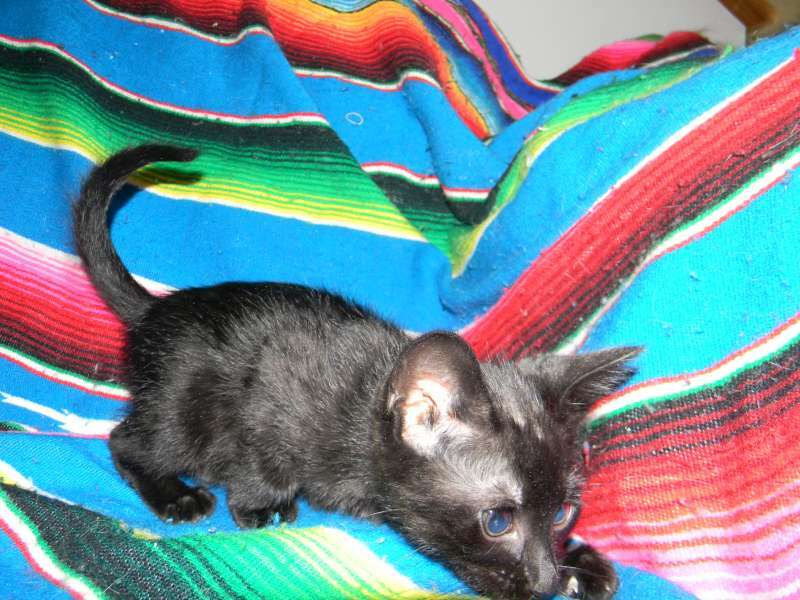 If you want a “Doglike” pet without the dog, Savannahs maybe the perfect kitten for you. Easily trained, savannahs can walk on a leash, ride in the car, go camping or participate in any activity you introduce them to as kittens. I have bred kittens that live with long haul truckers, run 5K marathons and love to bath with their people. Unlike many fully domestic cat breeds this cat really likes it’s family and is a true companion animal. 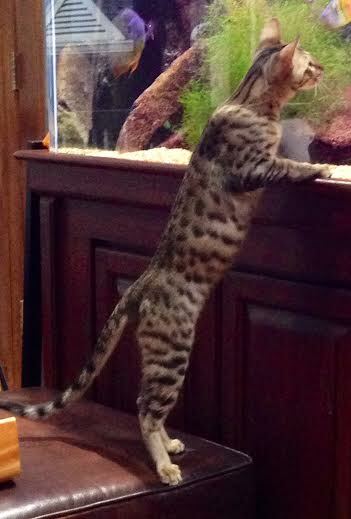 F-6SBT Brown Spotted Savannah loves her family’s fish!